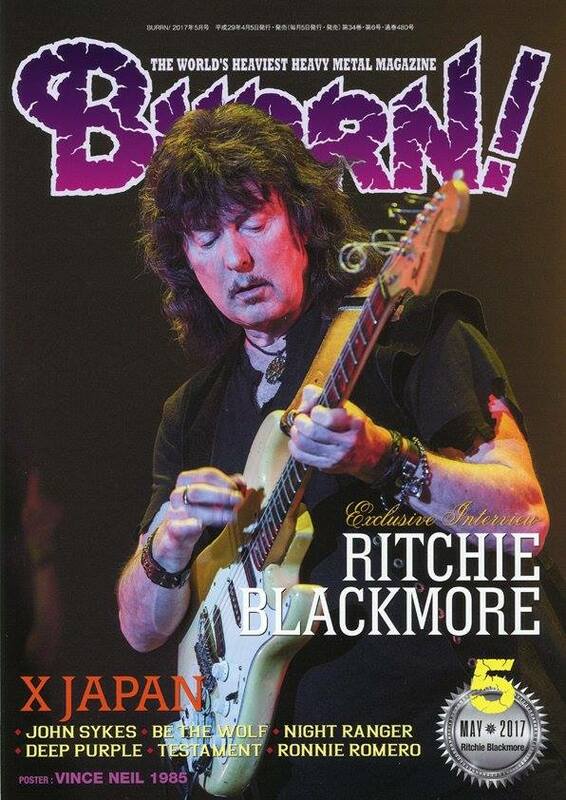 May 2017 issue of Burrn! 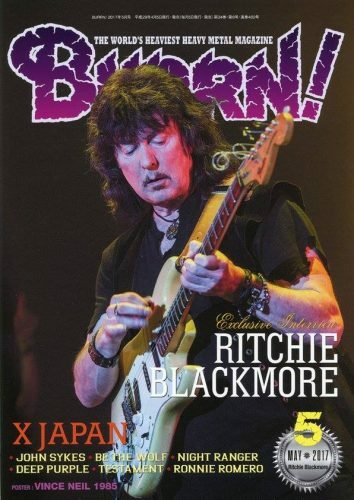 magazine in Japan features Ritchie Blackmore on the cover and a 14 page feature inside, including interview with him and Candice. Here are the more interesting bits of what they’ve said. Customary caveat: this is in reverse translation from Japanese. Burrn: We understand you were recording some material in the studio. Ritchie: We were recording until yesterday in the studio at our home. We finished yesterday. We recorded some songs for Blackmore’s Night and 2 songs with the new singer for Rainbow. B: Do you have any plans for release? Candice: It first started as a 20th anniversary thing for Blackmore’s Night, re-recording some old material, but we came up with new songs. We have no plans for release right now, we were just having fun, but we may release when the right time comes but not right now. R: I cannot believe I am playing the father’s role. 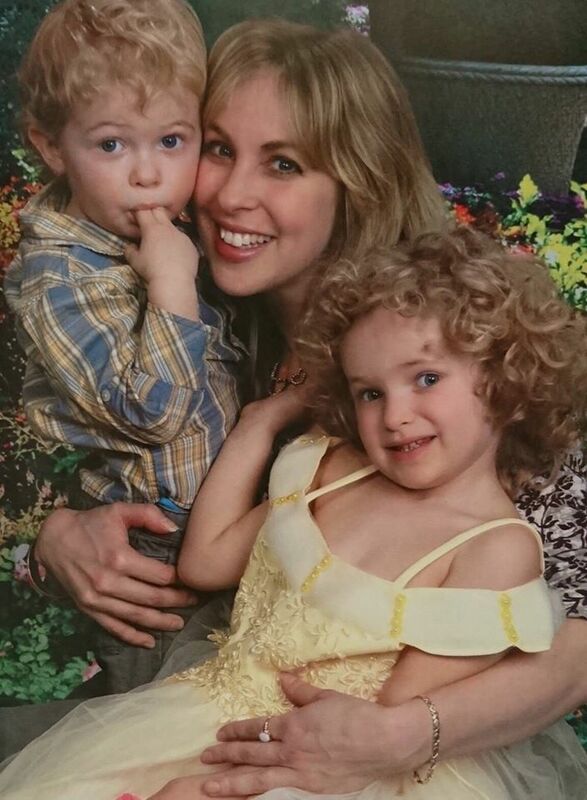 Our children are very “natural” and tell you the naked truth. Rather than make me mad, it makes me laugh. Especially Autumn, she makes me laugh all the time, she is a natural comedienne. Although I try not to laugh more than 5 times a year, I could break that rule in one day. B: You know we are waiting for you and Rainbow is very popular in Japan. Rainbow’s Memories in Rock won the Gold Disk Award in the DVD division, which is like the Grammies in Japan. R: You mean no other DVDs were released in Japan? R: When I heard him, he seemed like the right guy to sing the Dio era songs of Rainbow. He is versatile, he can sing like Freddie Mercury or Ronnie James Dio or Graham Bonnet. The reason I did not ask Joe Lynn Turner is because I thought European fans wanted to hear the Dio lineup of Rainbow. I was very surprised that tickets sold out in 15 minutes. It was nice to know so many people wanted to hear Rainbow at this time. B: Is Ronnie Romero the new singer you mentioned earlier? R: Yes, I wrote one new song, and also recorded one of the old ones. Ronnie, who is in Madrid now, added his vocals and sent it back. Rather than make an album, we may release as singles. R: I thought it was about time he got an award. I believe there are two geniuses in the US, one is Bob Dylan and the other is Billy Joel. I appreciate anyone that recognizes Bob Dylan. Special thanks to Akemi Ono for the info and translation. Posted by Nick Soveiko on Thursday, April 6th, 2017, filed under News. You can follow comment on this post through the RSS 2.0 feed. You can skip to the end and leave a comment. Pinging is currently not allowed. Nice looking family, his son looks just like him. I’d love to hear new Rainbow. I agree Billy Joel is a genius, I would never think to hear that from Blackmore. I’d love to hear new Billy Joel too…. Well, I guess it’s something better than nothing. I’ll happily take a new single… it’s certainly better than a recorded collection of R.B.’s farts as suggested by Uwe some time ago!. A new rock song from Ritchie? ……. new songs ………………. what an opinion …. I hope …. can´t wait …..
Rerecorded track may be Stargazer, as RB has said previously that he might redo it, because he wasn’t happy with the bass being buried so far down in the mix on the Rising album. Should have Bobcat Goldthwaite on vocals I reckon. Lol. Back in the Summer of ’78 I remember well I never got tired of listening to Rainbow’s On Stage double LP, yet the moment I quite accidentally ran into to Billy Joel’s 52nd Street on the radio I’d immediately turn it off. What a paradox…..